He may be the state's highest-ranking Republican, but Gov. 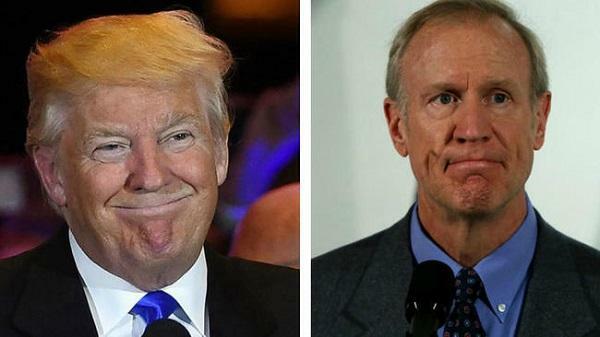 Bruce Rauner Thursday continued to be cagey about where he stands on Donald Trump. Rauner has been asked about Trump by reporters time and time again. He usually answers something like "I'm not going to talk about politics, per se, or the Presidential election. I've made my statements clear." But actually not all that clear. Rauner in May said he would back his party's nominee; at the time Trump hadn't locked up the nomination, but he was close. The governor has never backed away from that statement, including when asked about it directly. This is as close as it got Thursday: "I have not endorsed, I have not endorsed, not supported. And I've said that, that's my position." Rauner also said he's "outraged" by the rhetoric in the presidential election, and that "I condemn in the strongest possible way sexual assault, sexual harassment in any form. And that's what I'll say." 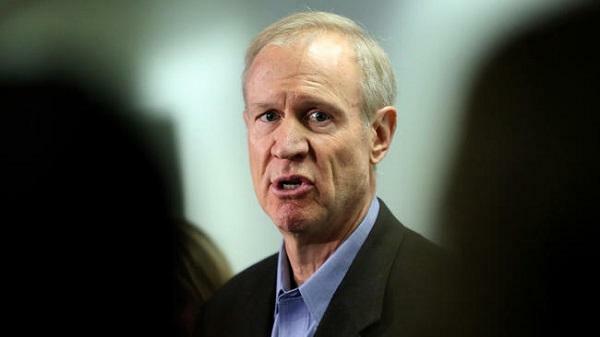 Rauner has poured some $20 million into helping Republican legislators get elected. That's by no means direct support for Trump, however extra GOP voters could help Trump indirectly. Rauner has also said he's hopeful an Illinois case over union members' fair-share fees reaches the U.S. Supreme Court. So he may be hoping a Republican White House will get to fill the open seat on the nation's high court. There's speculation Rauner doesn't want to offend Republicans who are fully on the Trump train, for fear they'd turn their backs on Illinois GOP candidates. A new super-PAC that goes by the acronym "LIFT" is spending a million dollars on ads tying Illinois Governor Bruce Rauner to Donald Trump.